“I think we’ll know more tonight, see how he responds, but I think he sprained it pretty good,” Coach Mike Budenholzer said. Bucks big man Brook Lopez hit four three-pointers on Sunday, giving him 176 for the season. That passed Channing Frye, who had 172 during the 2009-10 season, setting the NBA record for most three-pointers made by a 7-footer in a season. Lopez finished with 14 points. The Bucks also gained more ground in the race for the best record in the Eastern Conference. Toronto lost to Charlotte, which means the Raptors now trail the Bucks by four games, plus the tiebreaker, with eight games left to play. If the Bucks can take care of business in the next week or so, that should allow them to rest players heading into the postseason. 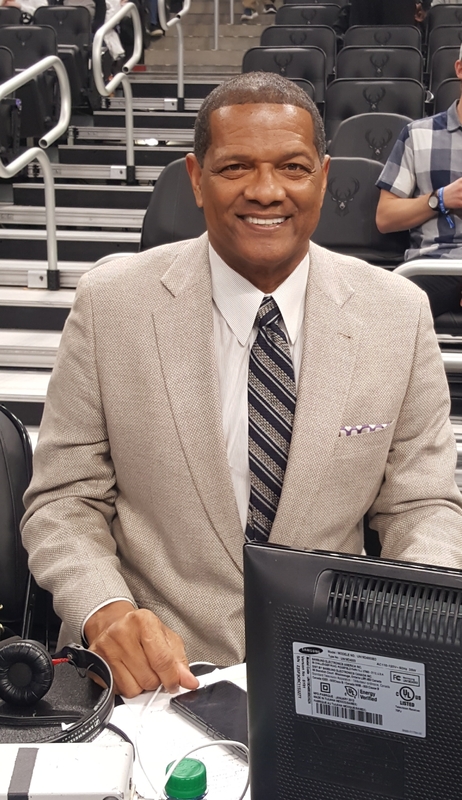 The Bucks retired former Bucks great Marques Johnson’s jersey number-8 during a ceremony at halftime. 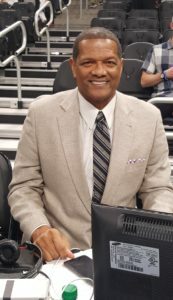 Johnson played seven seasons for the Bucks, from 1977-84. He became the ninth player to have his jersey retired by the Bucks. Johnson chose Sunday’s game against Cleveland because it will be his mother’s 92nd birthday on Monday. She was able to fly in for the festivities at Fiserv Forum.